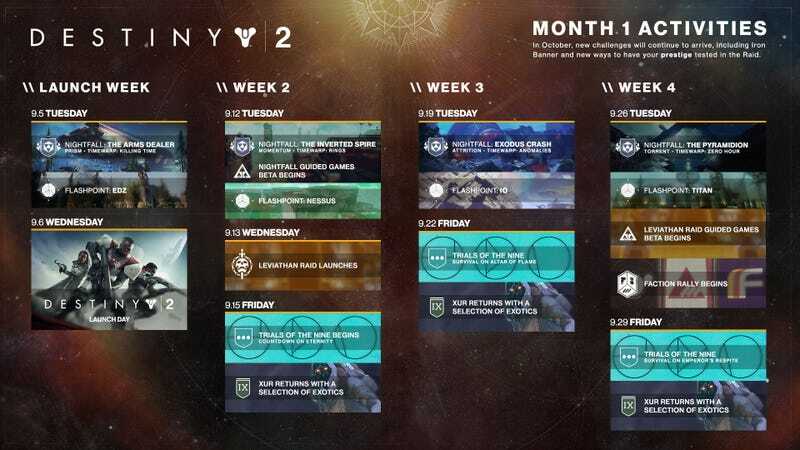 Via Bungie’s blog last night, here’s what the next month looks like for Destiny 2. Via Bungie’s blog last night, here’s what the next month looks like for Destiny 2. Anyone want to take some guesses about what Trials of the Nine or Faction Rally will look like?